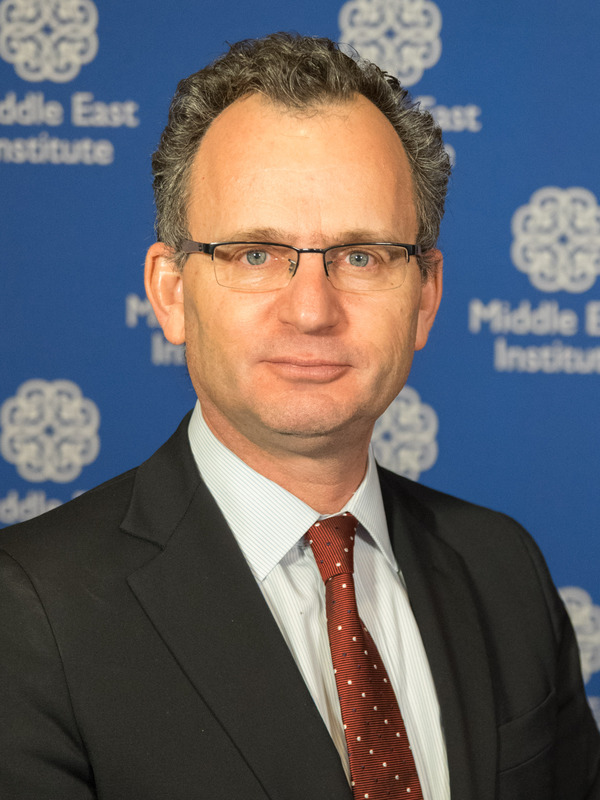 Paul Salem is president of the Middle East Institute. He focuses on issues of political change, transition, and conflict as well as the regional and international relations of the Middle East. He has a particular emphasis on the countries of the Levant and Egypt. Salem writes regularly in the Arab and Western press and has been published in numerous journals and newspapers. Salem is the author and editor of a number of books and reports including From Chaos to Cooperation: Toward Regional Order in the Middle East (ed. with Ross Harrison, 2017), Broken Orders: The Causes and Consequences of the Arab Uprisings (In Arabic, 2013), “The Recurring Rise and Fall of Political Islam” (CSIS, 2015), “The Middle East in 2015 and Beyond: Trends and Drivers” (MEI 2014), Bitter Legacy: Ideology and Politics in the Arab World (1994), Conflict Resolution in the Arab World (ed., 1997). Prior to joining MEI, Salem was the founding director of the Carnegie Middle East Center in Beirut, Lebanon between 2006 and 2013. From 1999 to 2006, he was director of the Fares Foundation and in 1989-1999 founded and directed the Lebanese Center for Policy Studies, Lebanon's leading public policy think tank. Salem is also a musician and composer of Arabic-Brazilian jazz. His music can be found on iTunes. March 11, 2015: An Interview with Paul Salem. Trump Wants U.S. Out Of Syria, Is It Finally Time To Leave Or Is This One Big Mistake?